Again, the issue of suicide has popped up again on the media radar. Both Kate Spade and Anthony Bourdain have managed to bring it to everyone’s plate and now we get to watch as social media spins out its version of “thoughts and prayers” in the form of “reach out.” Don’t get me wrong, it’s good advice. Completely useless to someone who is currently flirting with killing themselves, but good advice. What happens, though when you add Nonverbal Learning Disorder to the mix? Are we NLD Superheroes more susceptible to suicide as someone once suggested to me? To be honest, I don’t know. All I can talk about is my own experience with suicide and suicidal ideation. If I’m going to be completely transparent here, and I must for the sake of this conversation, I have to admit that I’ve attempted suicide. Suicide by fate, I call it. 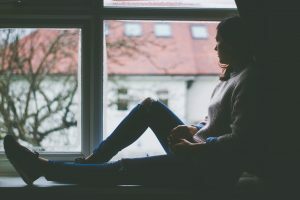 As a teen who survived abuse and found herself unwanted by her family (my sister was my abuser), I felt tired. Tired of fighting to survive. Tired of trying to reach out to my family again and again and being rejected. Tired of trying to figure out how to live in this confusing world. I was tired down to my soul and I just wanted to rest. I was nothing if not creative so I decided to let fate decide if I should live or die. At this time I was involved in an evangelical Christian group and fate was another word for God. If God wanted me to live, He’d show me. So, I took to jaywalking. Here’s what would happen. I’d need to get from one side of the road to another. Didn’t matter what road it was, a residential street or busy thoroughfare, I’d jaywalk. However, I never bothered to check for traffic. I don’t know if any gods had their hand in my survival, but even though I came close many times, I was never hit by a car. My life at that time was pure chaos. Evangelicals pretended to care about my soul while they dictated how I should live while my family showed no interest in where I was or who I was with. At the time my Nonverbal Learning Disorder was undiagnosed and I may have had a celestial being or two looking out for me because I never wound up on the side of a milk carton, either. Despite many opportunities to end up there. So what does any of this have to do with Nonverbal Learning Disorder? As I stated earlier, post-celebrity suicide is when everyone on social media advises those with mental illness to “reach out.” If you have NLD, that’s a whole new level of WTF. Those of us who have to live with NLD are the proverbial odd shaped pegs trying to fit in a square peg world. We pretzel ourselves into being something we’re not just so we can be seen as high functioning. This places an unbelievable amount of pressure on us and only makes the existing anxiety and depression that are NLD’s sidekicks that much harder to control. Having NLD means functioning in a different vibration from the rest of the world. The resulting clash that comes when our functioning meets the tidal wave of “normal behaviour” ends up in anxiety and depression. Does this automatically put NLD people at risk of suicide? I don’t know. I have no answers. What I do know is the advice to “just reach out” is useless. As someone with NLD, there’s a few questions I have about that. Reach out to who? Tell them what? When do I reach out? Is there a guidebook I can consult? Communication is one of the problems people with NLD have. Are the people we’re reaching out to aware of that? If so, do they know how to understand us? Suicide is a problem and feeling isolated is a part of it. So instead of saying “reach out,” I’ll give some different advice. Go out and learn what your options are. NLD people are great at gathering information. So go out and use that to your advantage. Learn how to access the medical community. Learn how to build a network of support and coping mechanisms. I don’t have any answers when it comes to suicide and NLD. All I know is what I’ve experienced. If you’re feeling suicidal, please know you’re not alone. This blog was originally posted on The Dragonfly. If you’re thinking about suicide, are worried about a friend or loved one, or would like emotional support, the Suicide Prevention Lifeline network is available 24/7 across the United States by calling 1-800-273-8255.